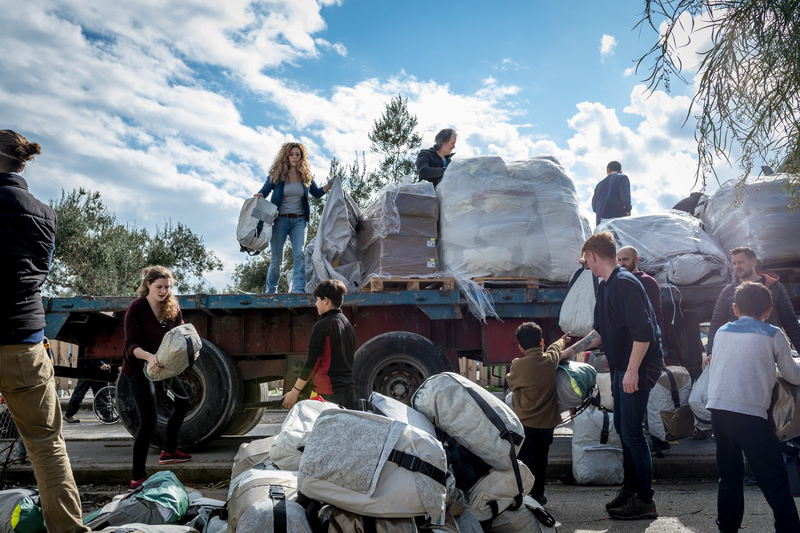 Last week Emma, responsible for WakaWaka’s Strategic partnerships, travelled to the island of Lesvos, Greece, visiting one of the Foundation’s partners: Movement on the Ground. Thanks to several donations, The WakaWaka Foundation was able to send the solar products for refugee support to create light and give power. Keep reading to find out how the small WakaWakas have made a big impact. Greece has always been seen as the gateway to Europe for refugees fleeing from Africa and the Middle East during times of crisis. Unrest in the conflict areas, the revolution in Egypt, civil war in Libia, Mali and Syria and the terror threat from IS caused a steep increase in fleeing refugees over the last few years. At its peak in 2015, around a million refugees fled their home country undertaking the hazardous trip by boat. The EU and Turkey came to an agreement in 2016 for Turkey to retain the refugees in exchange for funds from the EU. As a result, thousands of refugees are momentarily stranded in Lesvos, facing an uncertain future. Many of these displaced people seek shelter in tents or small, improvised houses in refugee camps. However, most camps are often overcrowded by the overwhelming amount of people and do not have sufficient facilities such as access to electricity. The portable WakaWakas are the solution in these emergency situations to create safe and sustainable energy. As they are solar powered devices (using the energy of the sun to charge), those who are left without power can use the WakaWakas to charge their electronics and they serve as light in the night. In the beginning of 2017 the Foundation received donations from the Nederlands Dans Theater and van Gansewinkel the WakaWaka Foundation was able to send over 1000 WakaWakas to Lesvos. As the WakaWakas were very well received, in November 2017, we decided to set up a collective fundraising campaign with The Sheltersuit Foundation and Movement on the Ground provide warmth, light and power during the winter period. 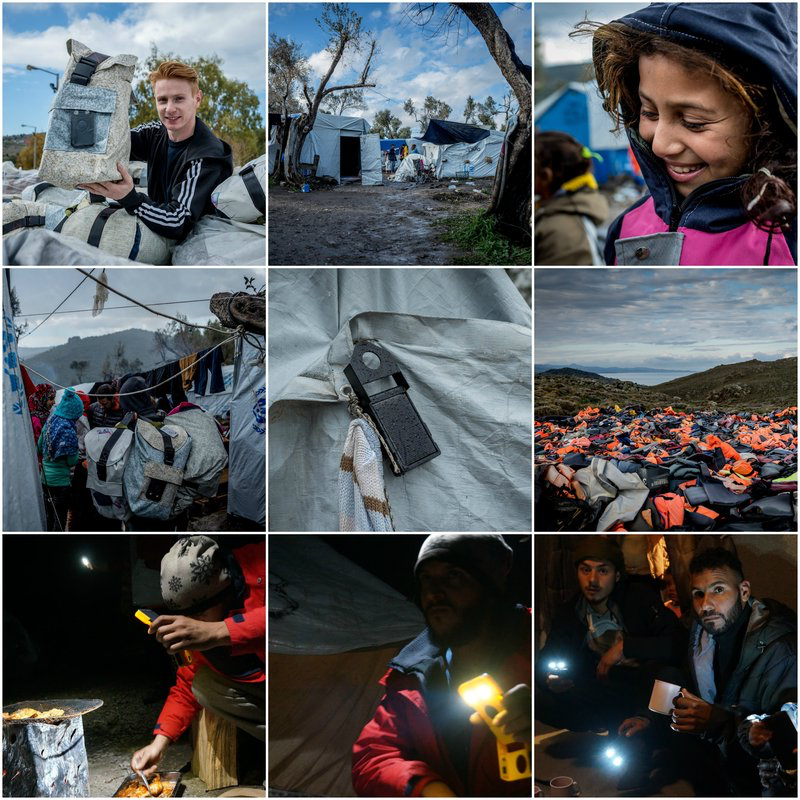 Thanks to Rabobank Foundation, Start Foundation, Van Lanschot Kempen, and Geloof en Samenleving van de Remonstranten we have been able to distribute over 1,000 WakaWaka products and sheltersuits this winter. The products are mainly distributed to grateful families living in the Olive grove and vulnerable children living at the South-East part of the island. Remaining sets will be kept in stock for new families arriving by boat, and families departing to the mainland of Greece. Take a look at the photo series below and learn more about the campaign and the situation on Lesbos. Are you interested in more of the Impact work WakaWaka & WakaWaka Foundation does in the world? Visit our impact map here. Founder of Sheltersuit Foundation Bas Timmer holds up a Bag containing a Sheltersuit and a WakaWaka Light. The picture shows the shelter of families living in the olive grove. The olive grove is situated next to Moria, the registration centre. As the centre is overcrowded, families decide to stay in the Olive Grove. Circumstances are hard – even harder in winter time. 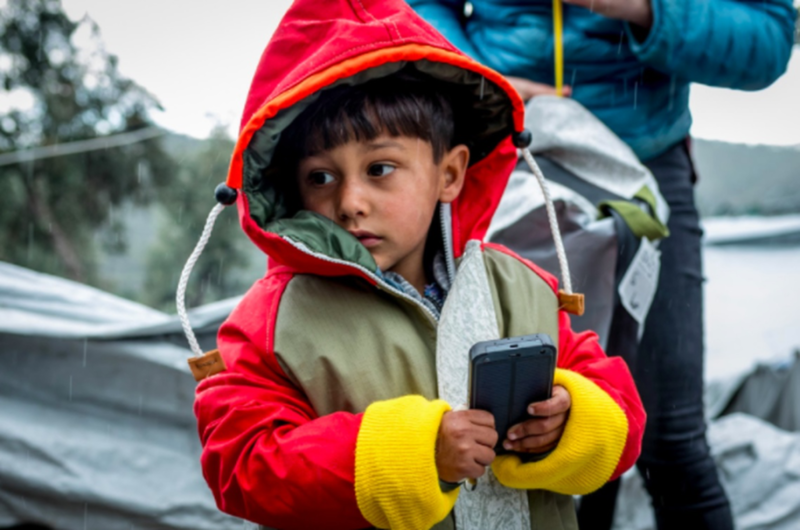 All children living here received a warm Sheltersuit and a WakaWaka for safe light after dark. Young girl at refugee camp. The distribution of WakaWakas in the olive grove. A WakaWaka Light hanging outside a tent to be charged. 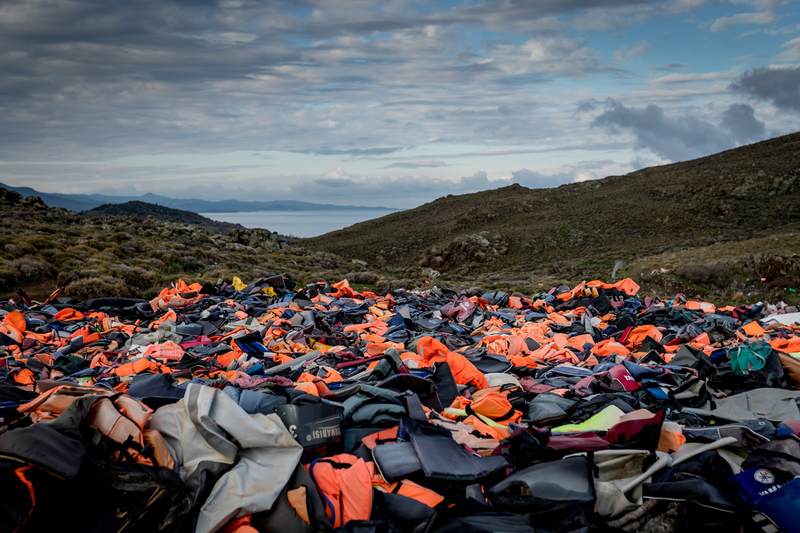 In this picture you can see the life jackets taken off by refugees arriving by boat. The majority of the life vests are fake, some of them are even made from sponge, which makes it even harder to survive once the wearer finds himself in the water. In the distance one can see Turkey, and the sea refugees have crossed. 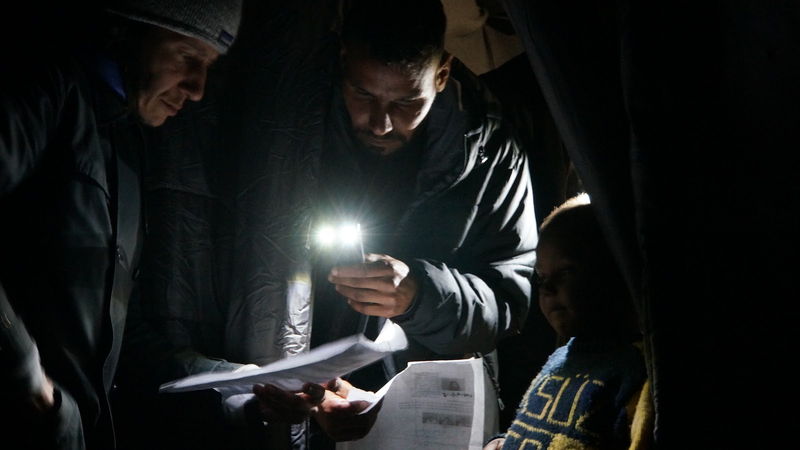 According to UNHCR at least 25,000 people have made the journey from Turkey to Greece in 2017. (7) – (9) WakaWakas being used for multiple purposes: while cooking, light in the dark and gatherings.